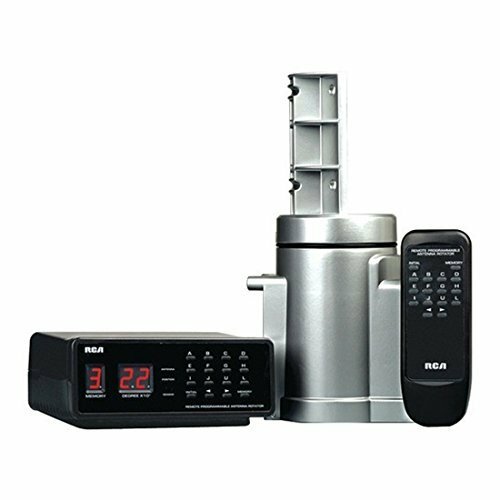 RCA 6-Device Universal Remote is easy to program and easy to use, with a variety of designs and form factors to suit different environments or preferences. 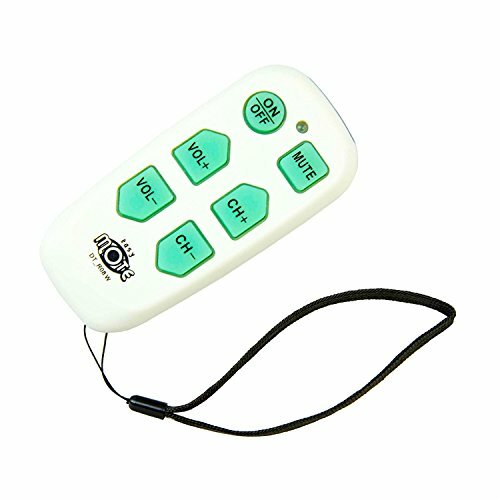 This remote is carefully engineered to put keys where your customers would expect, making it a comfortable fit for replacing or consolidating original remotes. 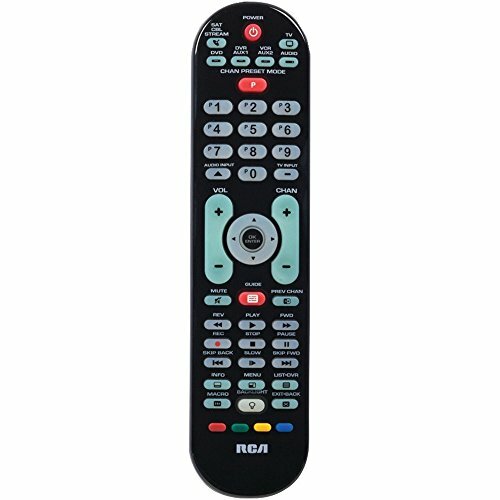 And RCA 6-Device Remote is among the first designed specifically for digital and HDTV, offering digital TV converter box codes and support for new features such as HDTV sub channels. 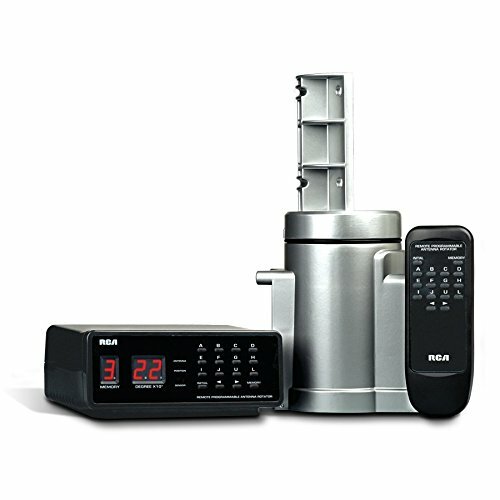 RCA 6-Device Remote operate TV, satellite, cable, DVD or VCR devices, with support for over 325 brands. The RCA 5-Device Cable Replacement Universal Remote is designed especially for cable systems, with a form factor and key layout modeled on what millions of cable customers already know and use. Like all RCA remotes, it’s easy to program and easy to use. 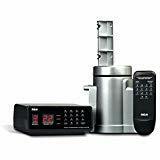 Its navigation clusters put DVR, guide and interactive functions together in groups that are easy to access. Its specialized red, blue, yellow and green keys unlock advanced features on cable or satellite systems as well as Blu-ray disc players. 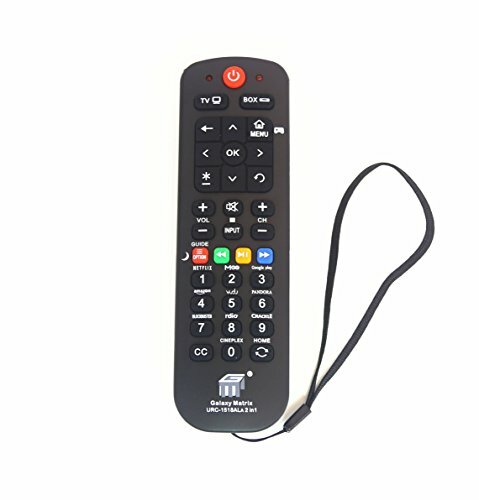 And the RCA 5-Device Cable Replacement Universal Remote is among the first designed specifically for digital and HDTV, offering digital TV converter box codes and support for new features such as HDTV sub channels. WE Conside ROKU TV AS THE BOX, Please find CODE:TCL.ROKU 2169, SHARP.ROKU 2170,INSIGNIA.ROKU 2171 For example: TCL.ROKU, you need press [BOX] and [POWER] together for 3 sec, then input 2169 Pre-programmed To ROKU 1, 2, 3, APPLE TV, Put Battery to Work, No Program Needed URC Universal Streaming Remote Work for All Streaming Box, Roku 1 2 3, TCL Roku, Sharp Roku,direct Tv, Dish, Apple and More This Remote Work with almost all Roku Media player or Box, such as: Roku 1 (LT, HD) Roku 2 (XD, XS) Roku 3. EXCEPT Roku HDMI Stick and Game. Item do not have the headphone jack to plug in your earphone. Ready for Sharp Roku ready TV LC-43LB371U LC-50LB371U LC-43LB371C LC-50LB371C Compatible with all 2014 and 2015 TCL Roku TV models Compatible to TCL RC280 Ready for All Vizio Smart TV For TCL.ROKU, you need press [BOX] and [POWER] together for 3 sec, then input 2169 For Xfinity customer, try to set up remote to 2004, 2005, 2114, 2111 For ROKU 3 Remote, you need put roku 3 player in front of TV! To pair Apple TV, you need set the SAT of remote to Apple TV first, then press and hold the Menu and Right buttons for 6 seconds to pair! 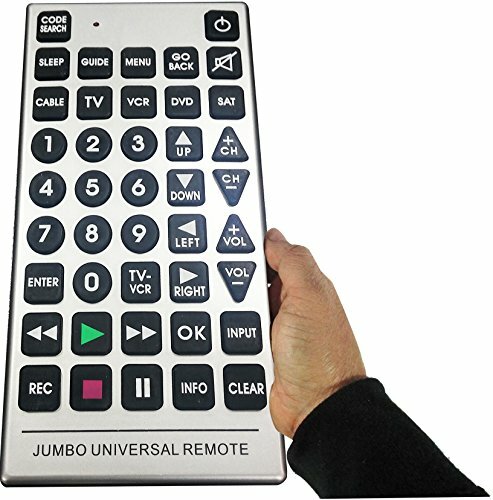 Boostwaves Universal Jumbo Remote Control TV-DVD-Cable It's Huge - Never Lose it! 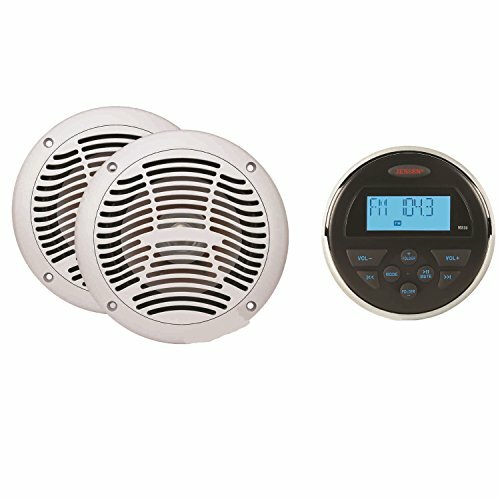 RCA VH226F Outdoor Rotator Rotor with Remote and Automatic Programmable Antenna Positioning Fine tune your outdoor antenna easily from inside your home for a perfect picture. Get the best reception possible from your outdoor directional antenna with a programmable antenna rotator. 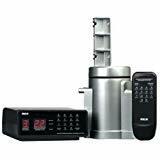 Tough Set up your 12 favorite TV channels or FM stations, and the rotator does the rest, positioning the antenna precisely and automatically. Designed to withstand the elements. This compact home amplifier is perfect for powering any stereo system. 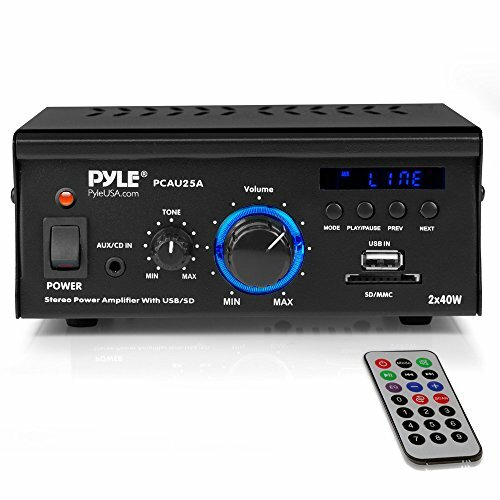 Complete with USB/SD memory readers, CD, Microphone, AUX inputs -- this simple to use and durable amp has, a slick blue LED display, L/R RCA inputs, and 4 push type speaker terminals. Using sophisticated circuitry and premium components for uncompromising musicality -- this product is famous for delivering powerful and accurate sound. Use the 3.5mm AUX input jack to connect additional audio devices including iPods/MP3 players. This small but powerful amp delivers clear and crisp audio for all of your audio needs. Durable and affordable, this amp is made to last. 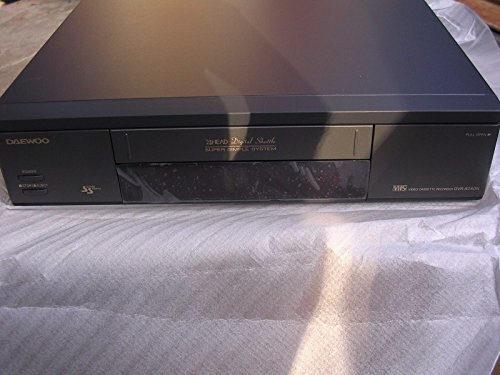 Refurbished Daewoo dk47n video player recorder VHS 4 head VCR Programmable Recorder with TV TUNER built in. What is in the box: VCR Unit with power cord TV Cable Link to PDF Manual online Spanish Manual is included in the box. Upon request by the customer we will provide an english manual in pdf version by email. E-mail a friend about this item. No remote included No remote, but most universal remotes will work and they are inexpensive. The Boytone BT-29B, Bluetooth turntable and Stereo Speaker System combines classic turntable style with modern technology. It can play it all. 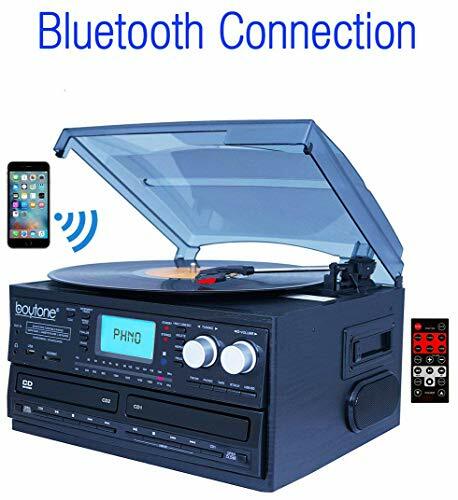 Wirelessly stream music from your device via Bluetooth, insert a USB flash drive or SD memory card loaded with MP3 digital music files, find your favorite AM/FM radio station, and connect an external device like an MP3 player or Tablet via AUX input along with your favorite vinyl records. This turntable will also provide you with the ability to turn your vinyl records into MP3 digital music files. Turn that bulky stack of records into a compact digital music library. The two built-in stereo speakers will fill any room in the house with crisp stereo sounds while the vintage design will make this turntable the centerpiece to any room. 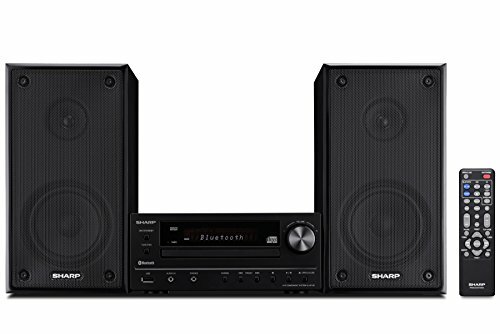 Add the classic look and feel with the Bluetooth turntable and Speaker System. 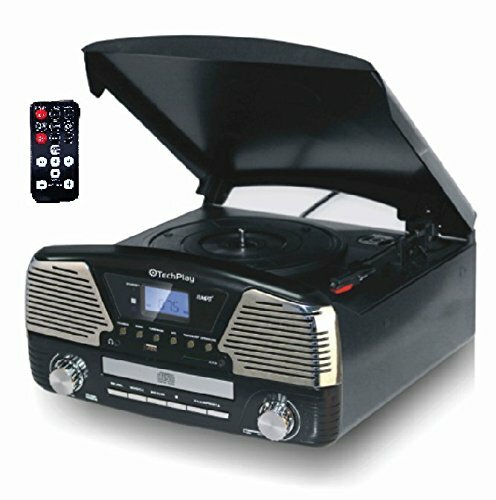 The rumors are true: Crosley Fleetwood CD player with FM radio is here and it's not a mirage! Inspired by 1970's rock music, we juxtaposed rich wood grain with brushed aluminum to create a modern silhouette that would look just as good on a dorm room night stand as it would on an office desk at the law firm. This little Wonder Features built-in stereo speakers with sleek aluminum speaker Grills that will leave you hypnotized if you don't stop. Pop in a CD (because we know you still have a collection), tune into the FM radio or go Your own way with the built-in Bluetooth receiver to stream The digital music of your dreams. Tweak the sound to your liking with the built-in equalizer and then play on. There's love in store thanks to additional features such as a digital clock, sleep mode, programmable channels and even a remote control. Heroes are hard to find so stop messing around and pick up this little songbird today! 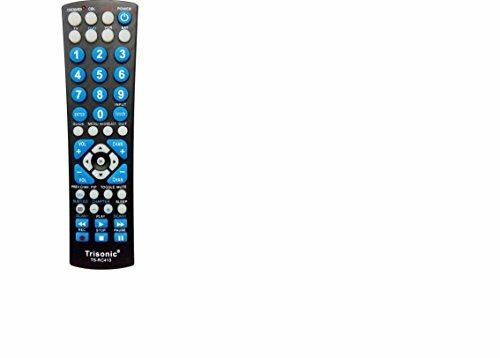 New 8 Device remote controls DTV ready for digital and HDTV, digital TV converter box remotes operate TV, satellite, cable or digital TV converter boxes, and DVD or VCR devices, support for most of brands.Please make sure it was work for you.Requires 2 "AAA" Batteries not included. 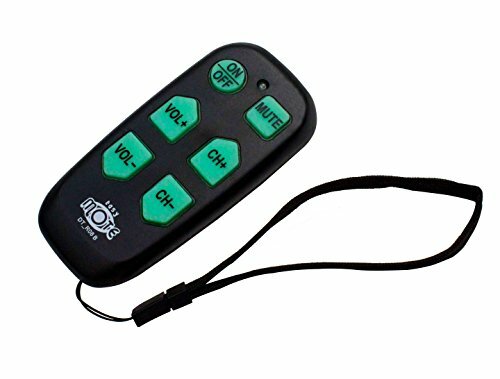 Quickly Program This RCA Remote to Your Devices!